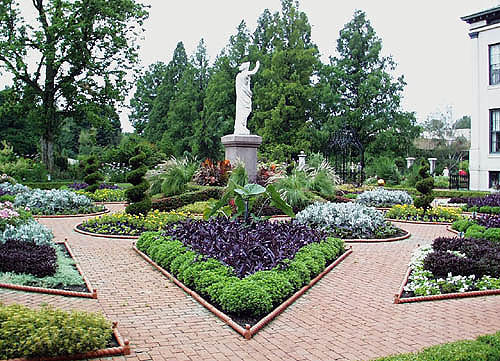 It’s that time of year to begin thinking about planting a garden this spring for summer and fall enjoyment. 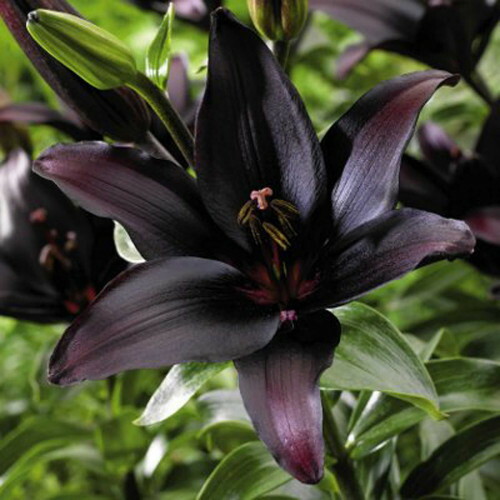 If you plan on starting your plants from seeds, now that danger of the last frost has passed in most areas, it’s time to get started. Garden In The Koop starter seed kits have everything you need to start your own garden from scratch. Another good thing to know about Garden In the Koop is that all of these starter seed kits are made in America from organically grown seeds. 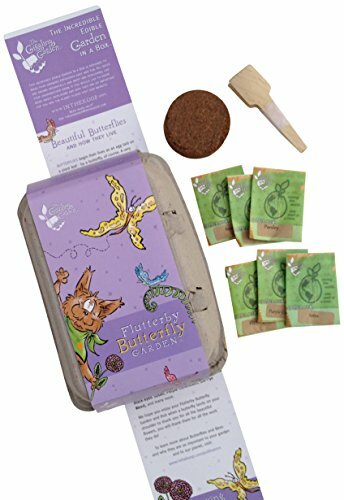 They offer everything from a Fairy Garden seed starter kit to a variety of other specialty garden kits that include flowers and vegetables that are sure to appeal to many. You can even find a kit to use to start your own trees. Here we look at a sampling of the various starter seed kits to get your gardening season off to a great start. 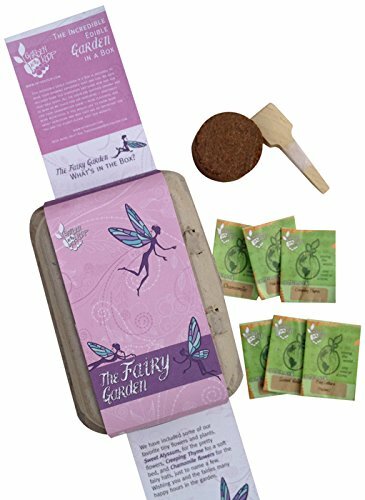 This kit includes everything you need to attract adorable tiny fairies to your yard. Everything is scaled small in this collection which includes Sweet Alyssum, Fairy Lettuce, Creeping Thyme, Violas, Pink Baby’s Breath, and German Chamomile. 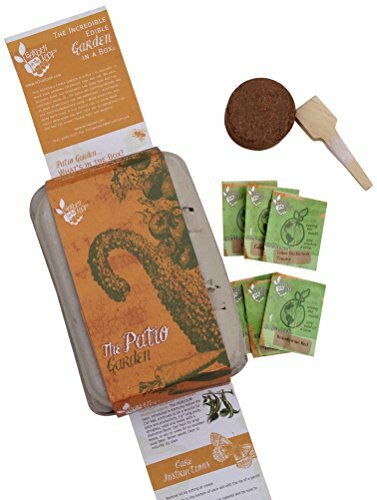 This kit includes six seed packets containing five to six seeds, coir discs to use as soil, and twelve wooden name tags. Sure to be a hit with both gardeners of all ages and the fairies. 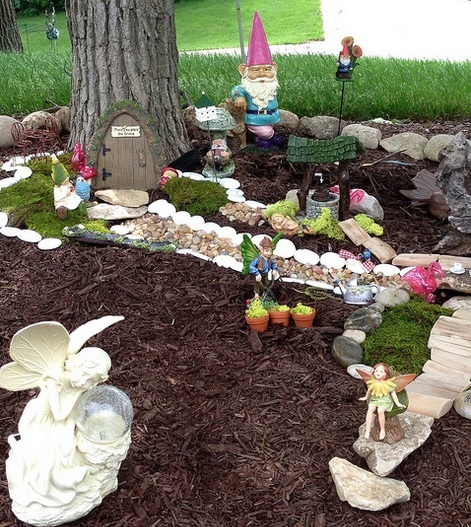 Kids will take delight in growing their very own fairy garden. Is your planting space limited to a patio? This kit is great for creating space saving small gardens for apartment dwellers or others with small growing areas. Starter seed kit includes twelve seed packets, soil discs, and name tags. Plants included are the Red Pear Tomato, French Breakfast Radish, Yellow Pear Tomato, Benning’s Green Tiny Squash, Kentucky Wonder Pole Bean, and Sweet Chocolate Pepper. Growing your own little windowsill herb garden has never been easier! Seed starter kit includes six seed packets, coir discs (soil), and six herb name tags to label your plants. Grow your old fashioned favorites including Chives, Flat Leaf Parsley, Basil Genovese, Thyme, Sweet Marjoram, and Oregano. Perfect for anyone who loves to cook and likes to have fresh herbs at hand. Attract beneficial bees to your yard to promote pollination and to help save the bees. 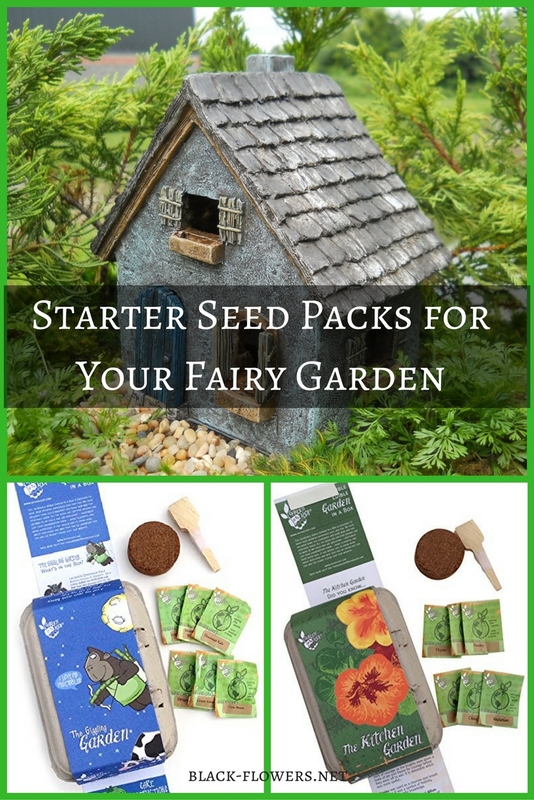 Most of the seeds in this starter kit are perennials and can be started indoors and easily transplanted outdoors for enjoyment for many years to come. 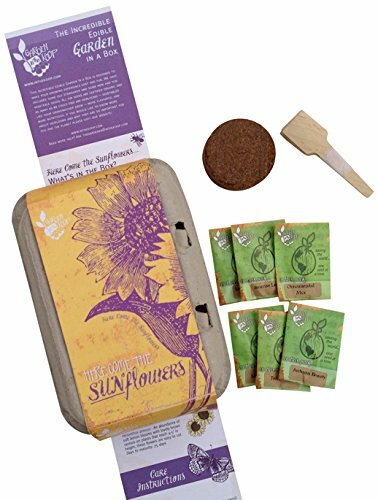 Kit includes six seed packets to grow Black Eyed Susan, Hyssop, Rocky Mountain Bee Plant, Aster, Purple Coneflower, and Wild Bergamot. Also included are six coir discs and six name tags. 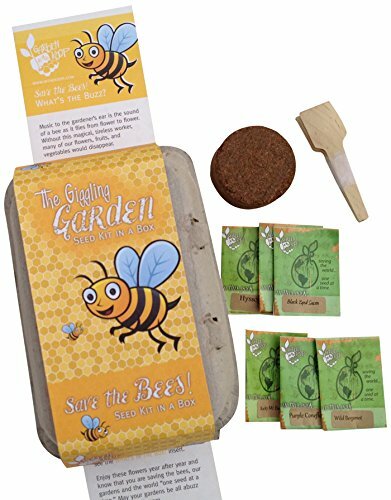 Both the gardener and the bees will love this kit. Attract beautiful butterflies to your yard to assist with pollination and to provide beauty. 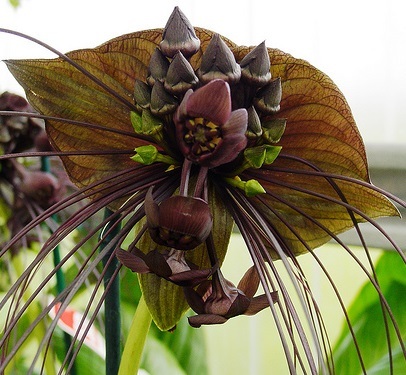 Plants not only bring these flying beauties to your garden, some plants are even host plants to provide a food source for caterpillars before they cocoon. Starter kit includes six individual seed packets, six wooden name tags to label your plants, and coir discs for soil. Plants include Aster, Fennel, Hyssop, Parsley, Purple Coneflower, and Wild Bergamot. 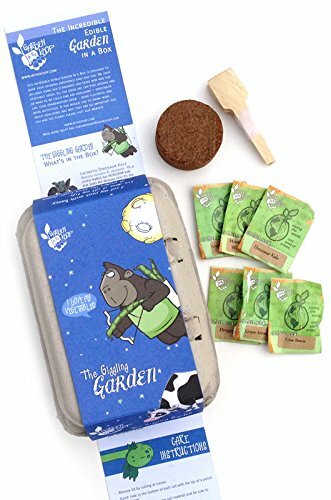 This seed starter kit includes a lot of vegetables with amusing names including Green Arrow Peas, Cow Bean, Dragon Carrot, Moon and Stars Watermelon, Dinosaur Kale, and Purple Top Globe Turnip. Kit includes six seed packet, coir discs, and twelve wooden name tags. Kids are sure to love this garden not only for the growing experience, but because of the funny names of the plants. 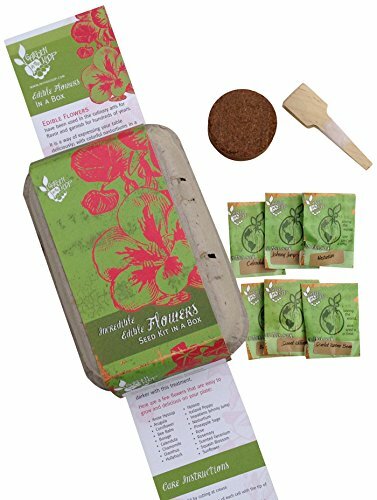 Another great seed starter kit for those who love to cook with fresh ingredients that they’ve grown at home. 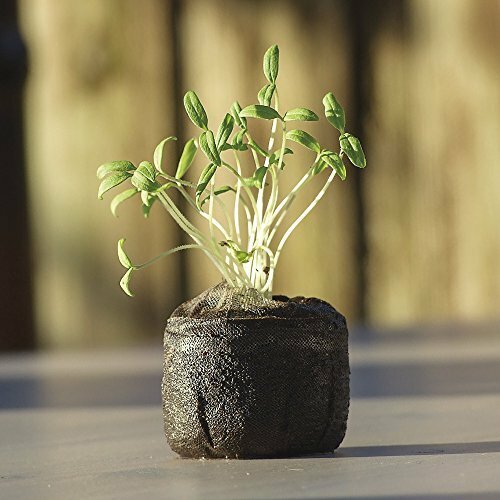 Seedlings can easily be transferred to a pot or the garden once properly established. 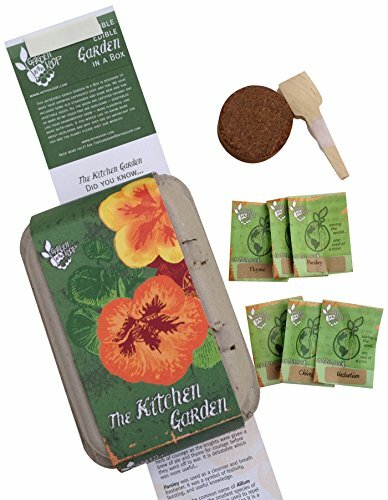 Kit includes six seed packets, six coir discs, and wooden name tags to label your plants. 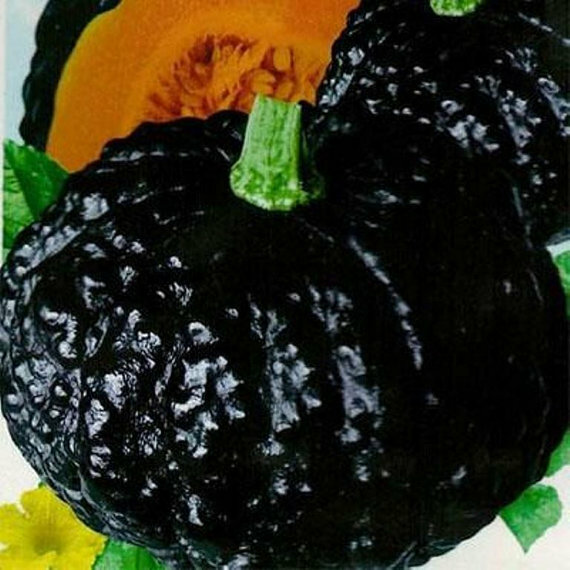 Includes instructions for planting. Grow Chives, Flat Leaf Parsley, Genovese Basil, Oregano, Thyme, and Nasturtium with this convenient kit. Garden In the Koop has the perfect seed starter kit for those who love sunflowers. Plant your seeds, included are enough for the starter kit box and more to plant outdoors in the garden, and easily transplant the seedlings outdoors without them ever realizing they’ve been disturbed. 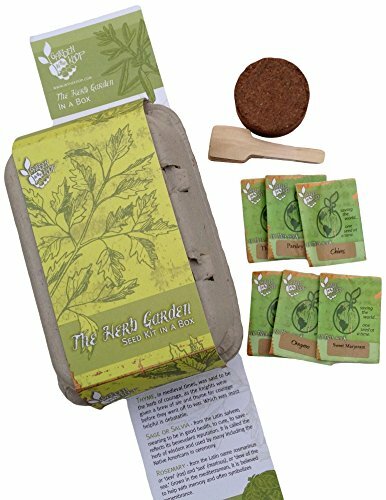 Kit includes six individual seed packets, coir discs that act as soil, and six wooden plant tags. Sunflower varieties includes are the Lemon Queen, and Autumn Beauty Mix. This starter seed kit from Garden In the Koop is a salad lover’s delight. Kit includes six seed packets, coir discs, wooden plant labels, and instructions for growing your seeds. 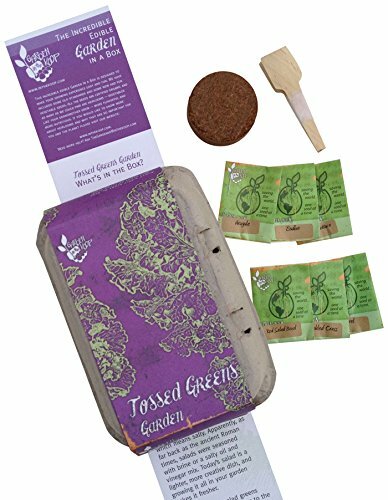 This kit includes everything you need to start growing red bowl lettuce, sorrel, endive, arugula, freckled lettuce, and wrinkled cress. Imagine the amazing, healthy salads you can create over the summer with these greens from your very own garden! 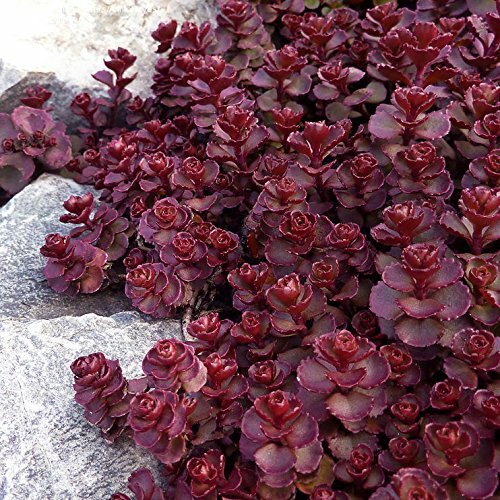 Enjoy flowers that not only look great in the garden, but that can also be used as food. Seed starter kit includes six seed packs, coir discs (soil) , and six name tags for your plantings. 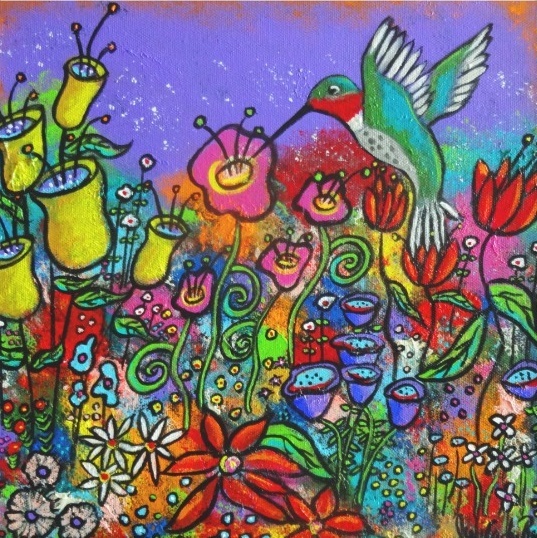 Seeds will grow such flowers as Bachelor Buttons, English Daisies, Nasturtium, Lavender, and Violets. Use as food itself or to garnish special dishes for that professional gourmet touch. 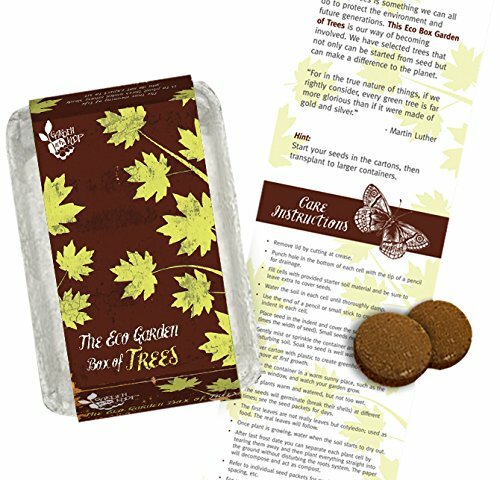 This seed kit includes everything you need to start growing your own trees. Included are six seed packets, coir discs, wooden labels, and planting and care instructions. Grow your own Colorado Spruce, Norway Spruce, Gingko , Japanese Black Pine, Paulownia, and Dawn Redwood. Transplant your seedling outdoors after they are well established. 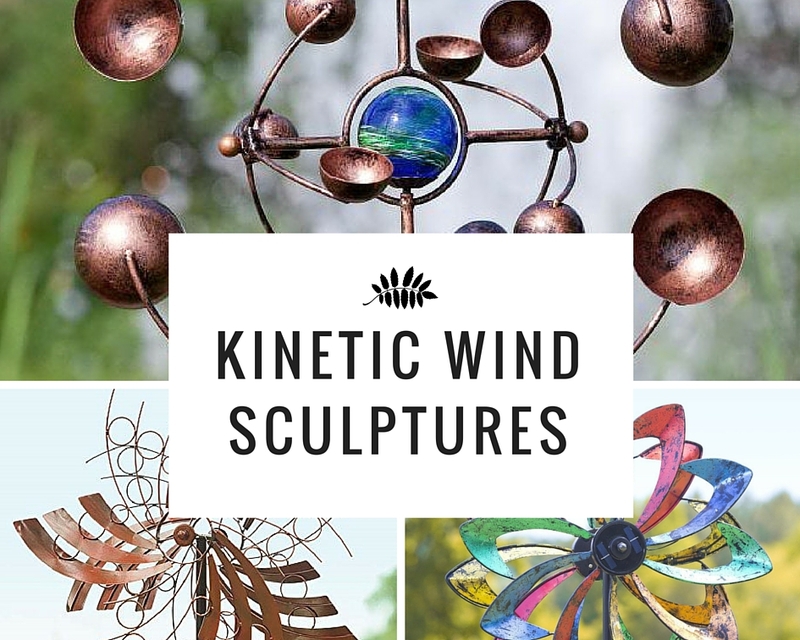 This would make a great project for kids and for Arbor Day as well. Help the environment while teaching kids about the importance of growing trees and plants and giving back to the Earth.